Owing to our in-depth knowledge in this domain, we are specialized in providing Hydrogen Chloride Gas Cylinder. 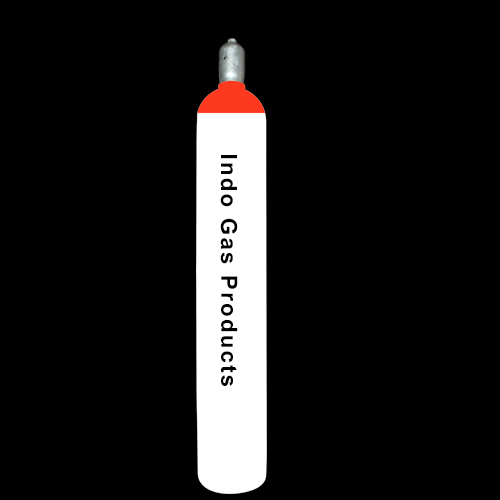 We “Indo Gas Products” was established in the year 1997, our firm is known for wholesale the outstanding quality of products to our esteemed clientele. We are the manufacturer and wholesaler of Gas Cylinder, Air Conditioning Gas, Refrigerant Gas and many more. Through our reliability in business dealing and providing the products on given time frame, we have become the most preferred choice of the market. Besides, our team has also played a vital role in keeping our position ahead of our competitors and gaining the support of large customers, We have the ability of bulk supply. We are working from a very long time as a Dealers, Distributors, Suppliers, Wholesalers, Traders in Meerut, Modi Nagar, Hapur, Sikandrabad, Bulandshahar, Kolkata, West Bengal, Andhra Pradeah, Haridwar, Uttara Khand, Roorkee, Mumbai, Maharashtra, Pune, Odisha, Bhiwadi, gurgaon, Haryana, Faridabad, Uttar Pradesh, Arunachal Pradesh, Agra, Aligarh, Azamgarh, Ayodhya, Ballia, Bareilly, Basti, Badaun, Bhadohi, Bijnor, Gokul, Gonda, Hardoi, Jaunpur, Chennai, Hyderabad, Ahmedabad, Chandigarh, Pune, Kochi, Mumbai, Bangaluru, Surat, Raipur, Vadodara, Mangalore, Coimbatore, Indore, Kozhikode, Bhopal, Nagpur, Visakhapatnam, Warangal, Tirupati, Bhubaneswar, Punjab, Mohali, Guntur, Amritsar, Patna, Ujjain, Mysore, Gandhinagar, Srinagar, Shimla, ooty, Vijayawada, Madurai, Jodhpur, Rajkot, Aligarh, Lalitpur, Muzaffarnagar, Mirzapur, Mathura, Pilibhit, Sitapur, sarnath, Sambhal, Sultanpur, Saharanpur, Unnao, Vrindavan, Chandauli, Chitrakut, Chandausi, Deoria, Bahadurgarh, Ambala, Bhiwani, Gurgaon, Jagadhri, Jhajjar, Karnal, Kurukshetra, Manesar, Mahendragarh, Narnaul, Palwal, Panchkula, Panipat, Pinjore, Rewari, Sirsa, Sonipat, Surajkhand, Yamunanagar, Ambala, Jind, Kaithal, Paunthi, Uttarkashi, Himachal Pradesh, Tehri Garhwal, Rishikesh, Dugadda, Nasik, Rudrapur, Chamoli, Rudra Prayag, Joshimath, Rishikesh, Dehradun, Bageshwar, Nainital, Kashipur, Haldwani, Almora, Munsyari, Pithoragarh, Mirai Malli, Pauri, Sitarganj, Etawah, Etah, Faizabad, Ferozpur, Gajraula, Ghaziabad, Moradabad, Jhansi, Modipuram, Banaras, Guwahati, Assam, Varanasi, Rampur, Kanpur,Allahabad, Lucknow, Jammu & Kashmir, Gorakhpur, Jaipur, New Delhi, Noida, Greater Noida and all over india.